I only have three closets in my house and they are all very small. Having such limited storage space is a good way to keep from collecting more than I need, but it requires periods of relentless clearing. 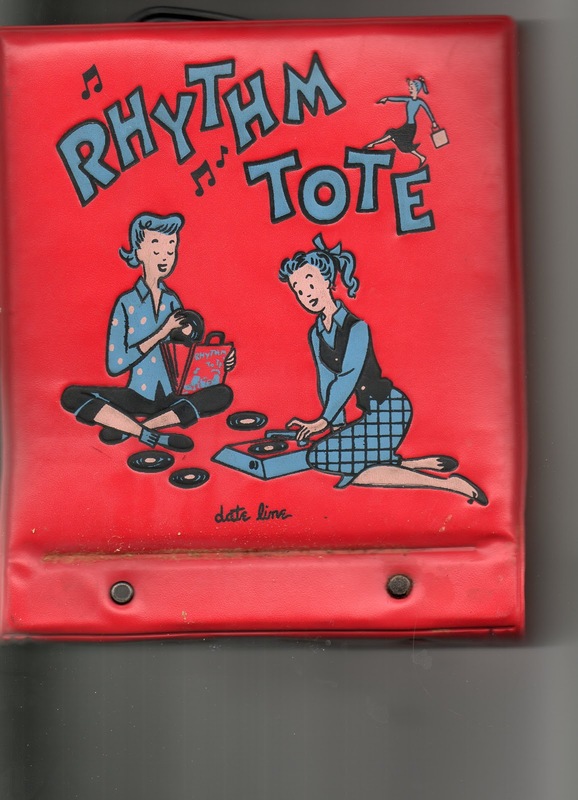 While digging deeper than usual last night, I broke into a box of memorabilia that I hadn’t inspected in years and found this item that I loved as a kid – a “rhythm tote” from the 50’s. It belonged to my “big sister” (sorry, Laney – not quite sure how I ended up with it), which, of course, added to the cool factor. What is it about bags, totes, albums and such that kids like so much? 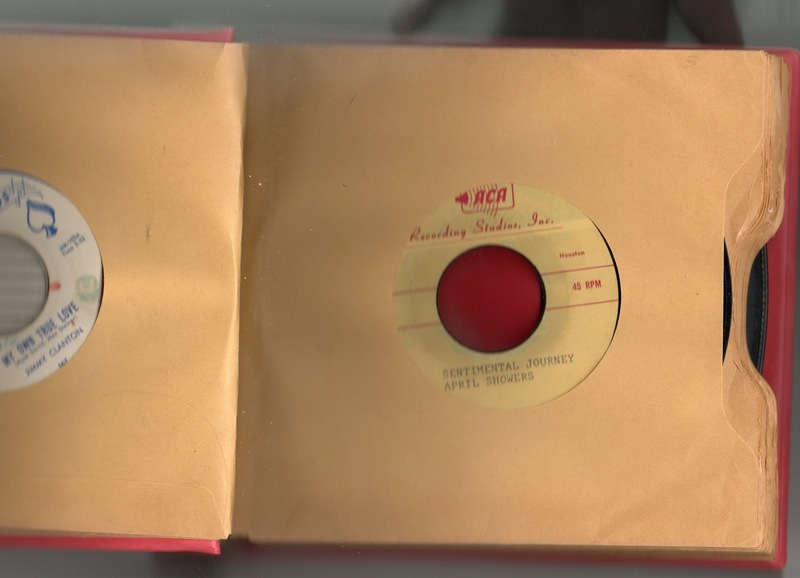 This album was especially cool, because it held records – and check out that picture of the teenagers spinning 45’s.